To the pleasure of any modern-day mudlark, it has turned out that the shorelines of the Thames make for a remarkable archaeological site. In recent years, the mudlarks of London have reported finding all different kinds of memorabilia and historical items, from shards of Roman pottery to shoes made during the Tudor era. The interest in the London mudlarks’ initiative has grown so much that a Facebook page dedicated to sharing found items from the Thames riverbed has hit nearly 30,000 followers. However, it is not only rivers that make for a great treasury of lost pieces of history. It is also sea beds; such is the case with the North Sea. 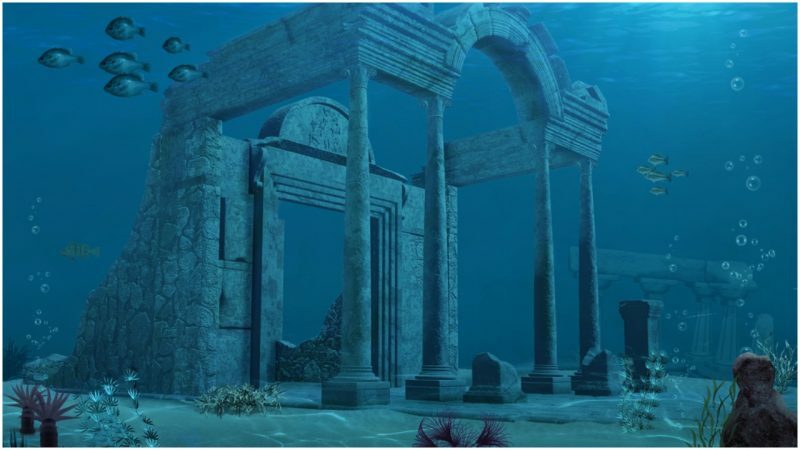 It is unlikely that shards of Roman pottery can be collected out of the North Sea floor. What fishermen have reported on finding is perhaps way more spectacular: ancient bones, tools, and other artifacts as old as some 9,000 years. These finds have caught the immediate attention of both British and Dutch archaeologists and paleontologists, as they likely are evidence of the submerged history of Doggerland. 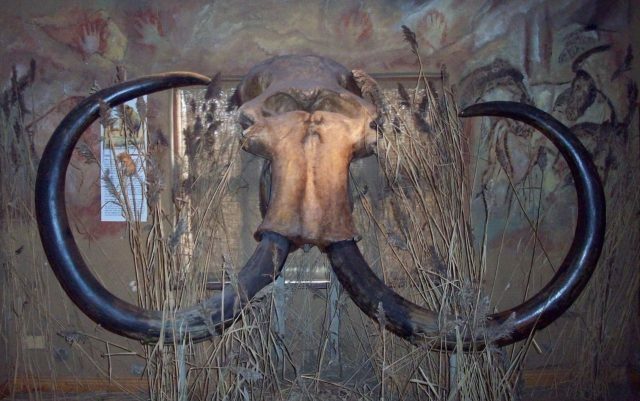 Which brings the story to the last major Ice Age, which was coming to its close roughly 12,000 years ago. During that period, the British Isles were certainly not British, nor they were islands. The map looked quite different since the mainland of the European continent fused with Britain’s eastern coast. 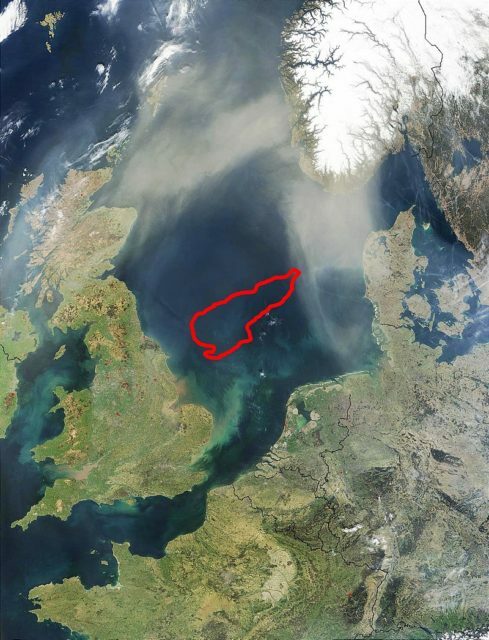 The vast piece of land that connected them was composed of many hills, marshlands, and dense forests, and it occupied a great portion of where the North Sea waters extend nowadays. The name of this area is Doggerland, and it was also the home of Mesolithic people who happened to thrive there for many many years. These prehistoric people were hunter-gatherers and mostly relied on fishing and hunting, as much as they enjoyed fruits, berries, and nuts from the forests. 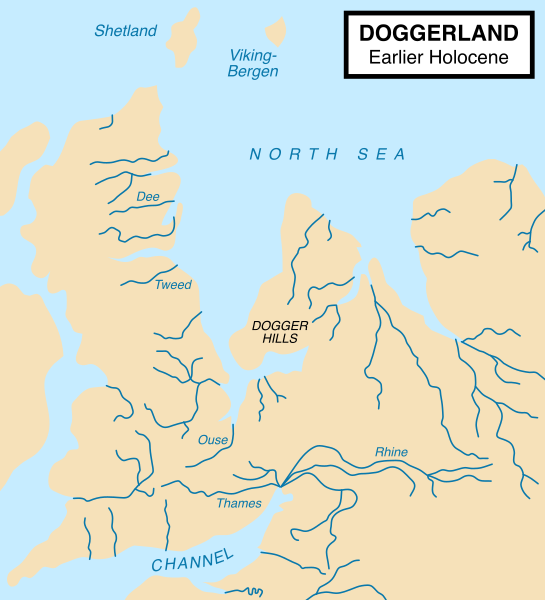 Life must have been good until around the time between 6,500 BC and 6,200 BC when according to scientists, Doggerland slowly started surrendering to the rising sea levels. Eventually, this wealthy primeval human habitat became submerged at the bottom of the sea and the Doggerlanders were forced to migrate. And they moved to areas that today belong to England as well as the Netherlands. Recently, experts have been working on a digital model that depicts how Doggerland might have looked before the floods took their toll. The data needed to produce such a model was largely retrieved from companies that extract oil from the North Sea. The model produced projects an area as large as 18,000 square miles. Just like the mysterious Atlantis, Doggerland is now nothing but a long-sunken and forgotten Stone Age habitat, the remnants of which are the decayed bones and artifacts of its people that end up in the nets of fishing boats. The story of it can easily be interpreted as an admonishing tale for the ultimate outcomes of rapidly rising sea levels caused by climate changes. Scientists still need to analyze samples of ancient insects and plants, DNA of animals, and so forth. Once the scientific studies beneath the North Sea conclude, it will provide a clearer picture of how Doggerland’s landscape looked, what vegetation and animals composed its ecosystem, and possibly how the Mesolithic people changed their habitat. In other words, the final research findings will provide insights into the lifestyle and culture of numerous generations of prehistoric Brits who thrived on Doggerland for likely some 6,000 years before the area finally vanished beneath the waters.